“When did friendship take a breed for barren metal of his friend” (The Merchant of Venice, Act 1, Scene 3) (meaning a friend would not make money out of another friend by charging him interest). Antonio challenges us again, as we look into the Islamic Finance Industry stripped of any religious motivation, but rather moved by a mere economic inquisitiveness. Known for its profit-and-loss sharing principle, Islamic Finance seems to be expanding the global footprint of its funds to countries outside its original market in the Middle East. As this US$ 1.3 trillion Industry (in terms of assets) sets sail, an untapped huge market in South America is likely to cross its way. In fact, Shariah-compliant investors could meet a realm of opportunities in Brazil, the 6th largest economy in the world, the world’s second-biggest emerging market economy and a member of the BRIC group (fast-growing developing economies) and one of the top 10 countries for foreign investments. On the other side of the coin, Brazil’s development thirst may find some relief on a growing industry. The outlook of a flourishing industry anchoring in an emerging market might prompt another Shakespeare’s character to provoke us to act by saying “there is a tide in the affairs of men, which taken at the flood leads on to fortune…we must take the current when it serves, or lose our ventures”. But, this “need meets opportunity” scenario still calls for enhanced mutual understanding. Before we hazard to engage the two, just like Portia and Bassanio were united by a ring, let’s take a moment to observe them. With a growth rate between 15%-20%, Islamic Finance has flourished amid the political upheavals of the Arab Spring with rapid customer base enlargement and is now set to grow even more with opportunities arising in huge infrastructure projects that are taking place in the MENA region. The issuance of a $2bn sovereign sukuk in Egypt and the new tax and regulatory frameworks applicable to Islamic banks in Tunisia are signs of the Islamic finance spring. Considering the global Muslim population, estimated to be 1.6 billion (of which around 200,000 live in Brazil, also home to 12 million Arab-Brazilians), the future of the industry is promising. However, there are many opportunities for Islamic Finance to expand into non-Islamic financial hubs, as witnessed in the City of London, and to structure more innovative products to satisfy a wider array of global consumers. As the world has changed and the business needs of people evolve, Shariah-compliant products can adapt to such trends and rise to compete for a share of markets such as major infrastructure, shipping and aviation projects. Islamic Finance has been praised for showing resilience during the credit crunch, mainly due to the fact that Shariah outlaws interest (riba) and stipulates that income should be reaped from an underlying real business risk. Being an asset-backed form of financing, it has proved more stable than its more conventional counterparts to the point of being promoted as a safe haven by some experts. Others, that are less optimistic, however would not consider it being fully immune from potential economic risks. 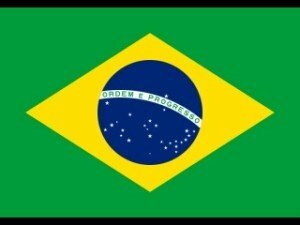 Known for its indisputable natural resources and for being a large democratic nation based on the principle of respect for private property, Brazil has managed to survive the Global Financial Crisis relatively unscathed partially due to its well-diversified economy and fiscal stimulus plans. Now it seems to be ready to grow steadily backed on promises made by the government of fiscal restraint, spending cuts and reduced interest rates. It has been some years since an immense reserve of oil was discovered in the depths of the Brazilian continental shelf, below the pre-salt layer. It is estimated to contain 50 billion barrel reserves of oil, a number that would surpass its current 14 billion barrels. A recent report by the state-controlled oil company Petrobras announced that it had reached approx. 300,000 barrels of oil per day in the pre-salt areas of the Campos and Santos basins, just seven years after oil was first discovered in the area in 2006. The company has also expressed that it aims to triple the current output by 2017. Aware of the importance of highways, airports and sea ports for its long term economic growth, Brazil has spent heavily in infrastructure, mainly through the “Growth Acceleration Plan” (known as PAC). The programme, launched in 2007, has provided a boost to Brazil’s economy and has aimed to attract investments of $349 billion, through a large focus on improving the country’s logistics sector, power resources and its social and urban development. A second phase of this programme, known as PAC II, involves investments of up to $526 billion in areas such as energy, transport and housing between 2011 and 2014, and with investments amounting to $346.4 billion from 2014 onward. The Federal Government has further launched a housing programme that consists of building and financing houses for the poor and middle class – known as the “my house, my life” programme. Until now only public resources have been allocated to the scheme, yet there may be plenty of room for investments through Shariah compliant mortgages (sukuk). The international demand for agricultural commodities has been a key driver for economic growth in Brazil, given its position as the world´s largest exporter of soybean (41% of the world´s exports) and of orange juice (55% of the world´s exports). Brazil accounts for 35% of global exports of raw cane and refined sugar, a product that has already attracted attention from Arab investors. Moreover, it is worth noting that Brazil is also a large exporter of halal meat, which proves Brazil’s ability to competitively adapt to Islamic-based market requirements and, thus, its readiness to attract the “halal dollar”. In addition, Brazilian trade with Arab countries reached $26bn in 2012, with exports that included sugar worth $4.24bn, meat worth $3.93bn and ores worth $2.44bn. Another programme with great potential is the so–called “Public and Private Partnership” (PPP), which is based on joint efforts of government and private business, that works as a financing tool to boost expanding infrastructure needs. According to its rule, in such a partnership, parties agree on the aimed object for at least 5 up to 35 years, involving values above US$ 10.000.000,00. The government chooses its partner through a bidding procedure with whom it agrees to share the risks of the project. Under its concessions programmes, the government plans to transfer to the private sector 7,500km of highways, 10,000km of railways and 159 ports, to be built and operated. This type of partnership, being mainly used for infrastructure projects, may well fit the Islamic Finance asset-backed funding system. With an inflow that reached $65.3 billion in 2012, Brazil is certainly hunting for investors. As Brazil gets ready to host the 2014 World Cup and 2016 Olympic Games, it seems that the best is yet to come, given the prospect of a rising tide of investments. As there was an obstacle for Bassanio to conquer Portia’s love in The Merchant of Venice (having to choose the right casket) so Islamic Finance still has a long way to go before it gains a market presence in Brazil. Lack of awareness and prevailing misconceptions regarding the industry are hurdles that still need to be overcome. Inspired by the co-operation agreement signed between the World Bank and INCEIF in 2012, the industry should be committed to educate future leaders in Brazil by collaborating with national institutions of higher learning to develop executive education programmes in Islamic Finance. Just as it happened in the past with Malaysia, a legal framework still must be constructed in Brazil to conform to Shariah Islamic financial instruments, in order to guarantee the enforceability of the Shariah-compliant contracts and further avoid double taxation that would prevent the industry from competing on an equal footing with the conventional finance system. One would never disagree that investors always prefer to put their investments in markets where the jurisdiction is ready to enforce contracts and where the government enables market forces to operate freely. With appropriate legal provisions in force, investment will come and Shylock will have his bond. Given the rise of Islamic Finance in non-Muslim countries and the news that the National Bank of Abu Dhabi is opening an office in the country, Brazil must act quickly to make all necessary regulatory and tax reforms necessary to facilitate the entrance of Islamic Financial Institutions in the market, if it wishes to become South America’s Islamic Finance hub. Never forgetting the formula “all that glisters is not gold” contained in the golden casket, we shall take heed of Shakespeare’s warning: “who chooseth me must give and hazard all he hath”. With this in mind and under the noblest profit-and-loss sharing principle, let’s then go for the leaden casket and hazard all.